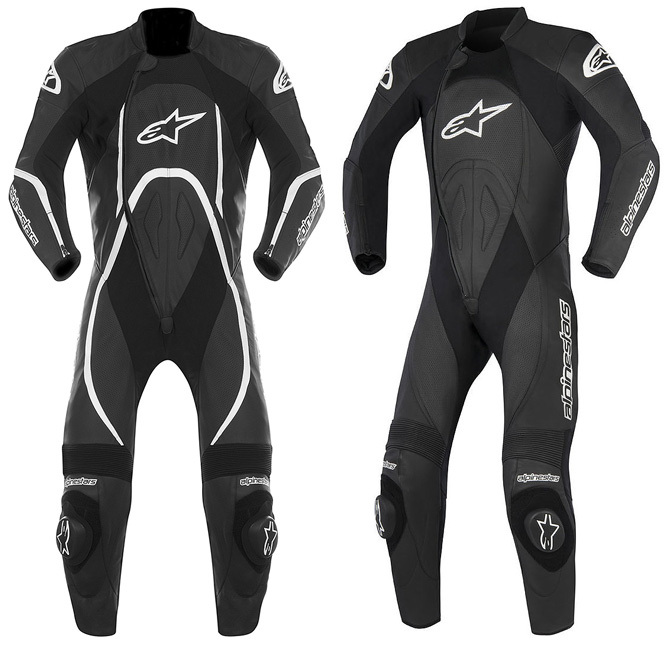 Alpinestars Orbiter one piece suit. Made of 1.3 mm genuine leather. Shoulder, elbow, knees and shin protections with CE certification. Coccyx, back, torso and hip PE foam panels. Adjustable on arms and legs with zipper. One inner pockets with Velcro®.